Leap Motion, maker of the gesture based Leap Motion Controller, has opened up an app store to developers as it moves into late-stage beta development ahead of an anticipated July 22 release date. 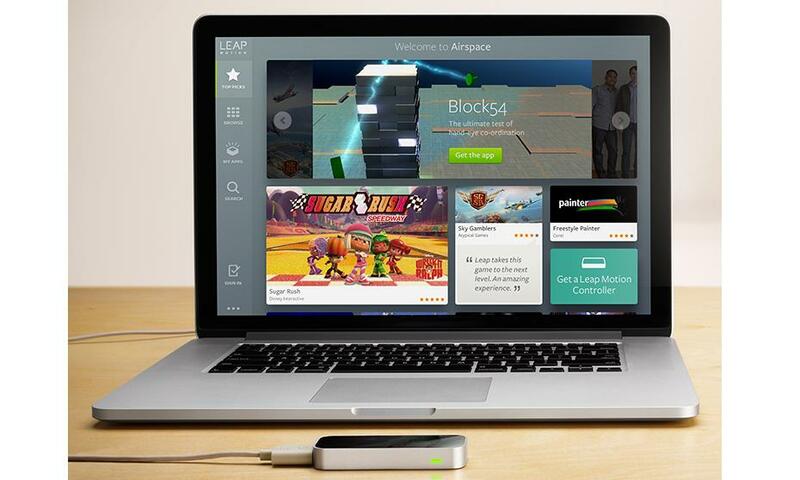 As of Monday, some 10,000 early-access developers now have access to Airspace, an app store dedicated to software written for the Leap Motion Controller. Leap will open up its developer portal to all developers who want to write their own apps for the platform by the end of the week, reports CNET. In preparation of its July launch, Leap also released two new APIs to beta developers, one that tracks users' palms and another that recognizes when a user grips their hands. The company said it plans to debut the device with 100 apps populating the Airspace store, with an almost even split in software built for the Mac and Windows operating systems. These apps are separated into two categories; apps which provide core functionality to the OS, such as switching between tabs and screens in OS X, and software that augments other apps with gesture control. A handful of these apps are now available to developers through Airspace. When it was first announced in 2012, the Leap Motion Controller was shown working with an iMac to manipulate the on-screen UI via several "3D gestures," such as the familiar pinch and pull used on Apple's touchscreen devices. The small USB Controller captures up to ten points of input, turning a wave of the hand or a mid-air pinch of the fingers into actionable gesture data. After generating massive interest in 3D gesture tech, Leap recruited former head of Apples iAds Andy Miller to become president and chief operating officer. In a January interview, Miller explained that some of these apps are being written to supplement existing software options while some are being written from the ground up to take advantage of the new platform. As [the Leap Motion] app store matures, well start to see the ratio shift towards apps that are built from the ground up, that are created and designed with this in mind, Miller said. Though different than a touch screen, the excitement generated by Leap's Controller reveals real interest in a new way to interact with Macs. Apple has been making strides to bring elements of its touch-based iOS to OS X since 2011s release of Lion, but Apple seems to have drawn a line a line in the sand, suggesting that a Magic Mouse or Trackpad is adequate for gesture controls. While Apple isn't expected to release a touchscreen Mac anytime soon, the company has shown interest in the technology, as evidenced by patent filings with the U.S. Patent and Trademark Office.